I'll list both boxes together for convenience. 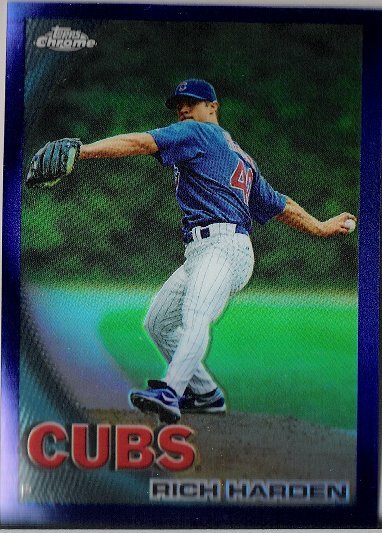 Topps almost never goes wrong with the main set's card design. This was the first year Topps had exclusive rights to the MLB license so they displayed large team logos in the corners of the cards. 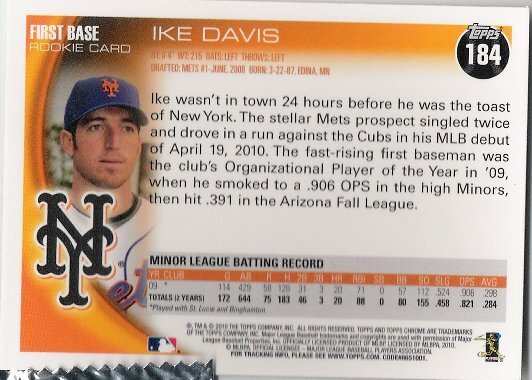 The only problem I have is that some of the text on the back of the cards blends in with the backgrounds. Chrome is always a great set to put together. The only real difficulty would be the maximum 3 base cards per pack you get. Decent rookies pulled from these blasters, I usually see refractors of rookies but not this time. 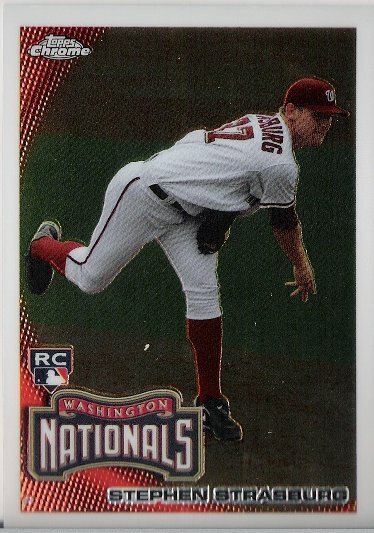 The Strasburg would have been much nicer in 2010! 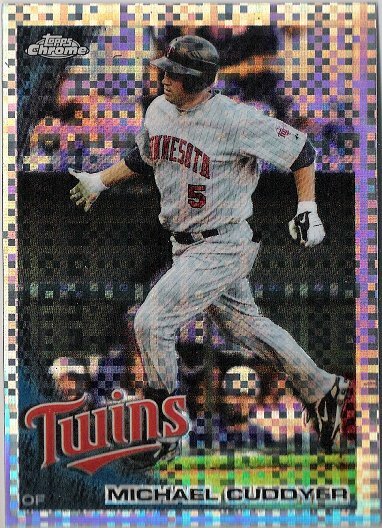 Refractors only this time. 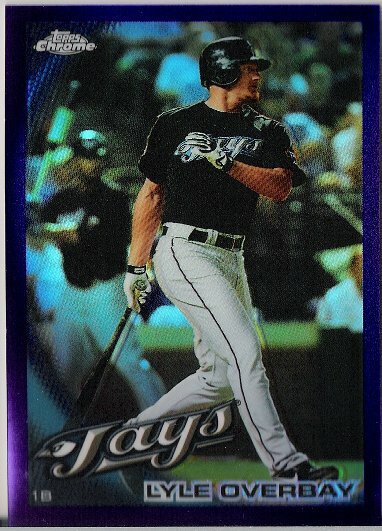 I like the finish on the refractors though, they even scan well! 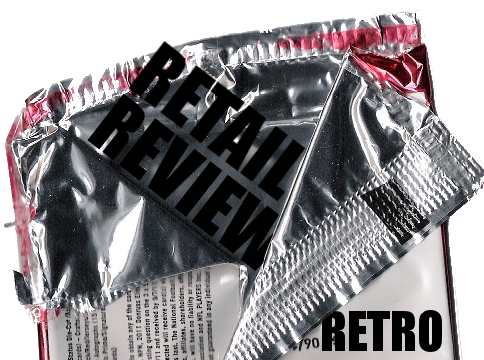 X-Fractors are retail exclusive like previous years. 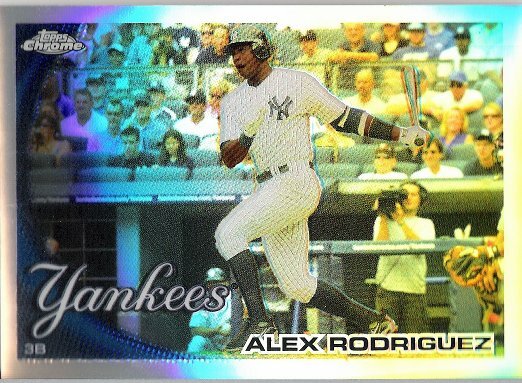 The blue refractor was a tough pull and I wish it was a Yankee for my personal collection. There are apparently Chicle inserts, the pack says 1:81 packs to pull one. Didn't get any. Odds on the pack are 1:171 packs so its a pretty tough pull. Rookie autographs only. Had fun opening these. 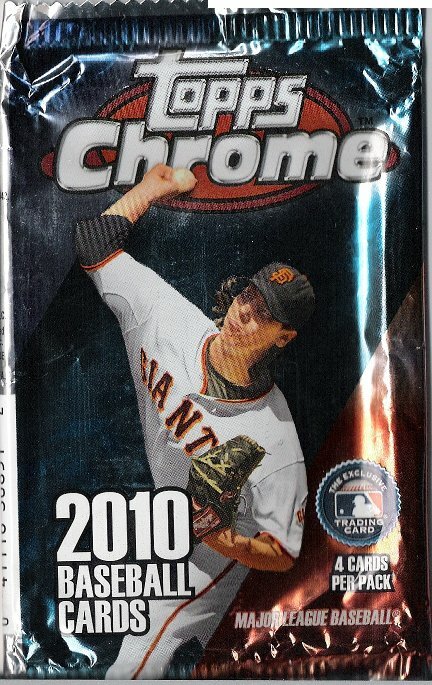 The refractors are always great to pull from a pack and look at. Liked pulling the Strasburg and the two A-Rod refractors. 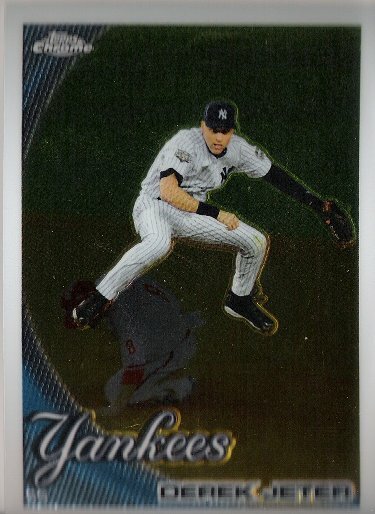 Also needed the Jeter for my personal collection!